she wears flowers: How Does Your Garden Grow? It was just beginning to feel like spring and then...it didn't. But that's okay--we are moving forward with or without Mother Nature! Cut a triangle shape off the corners of your 2x4 so the top is wider than the base. 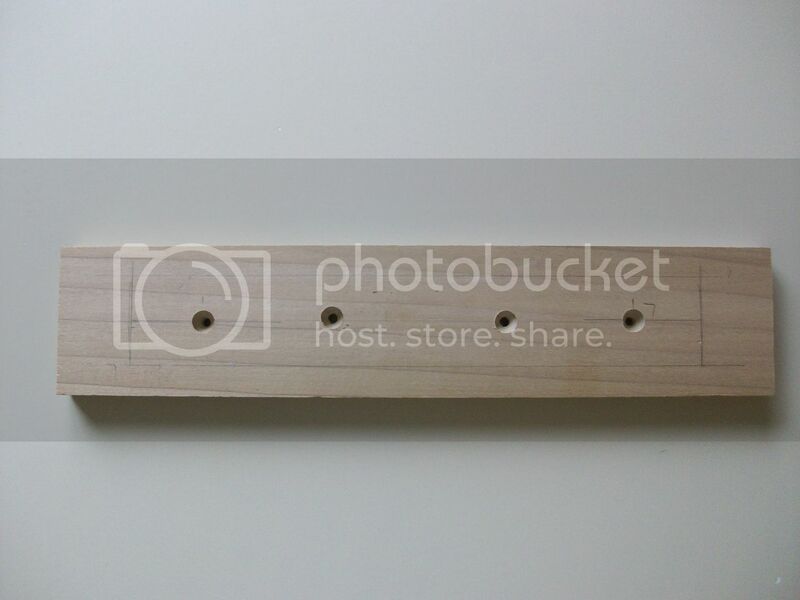 Drill the holes for your screws to hold the base to the bottom of the flower pot. I handed this off to my husband to do, but it really isn't hard. Just mark where you want your holes and make them big enough. We used pretty long screws to make this a little less destructible. If you have the right tools (drill bits), you can countersink the holes so that the head of the screw is embedded into the base and doesn't make it slightly uneven or move around. 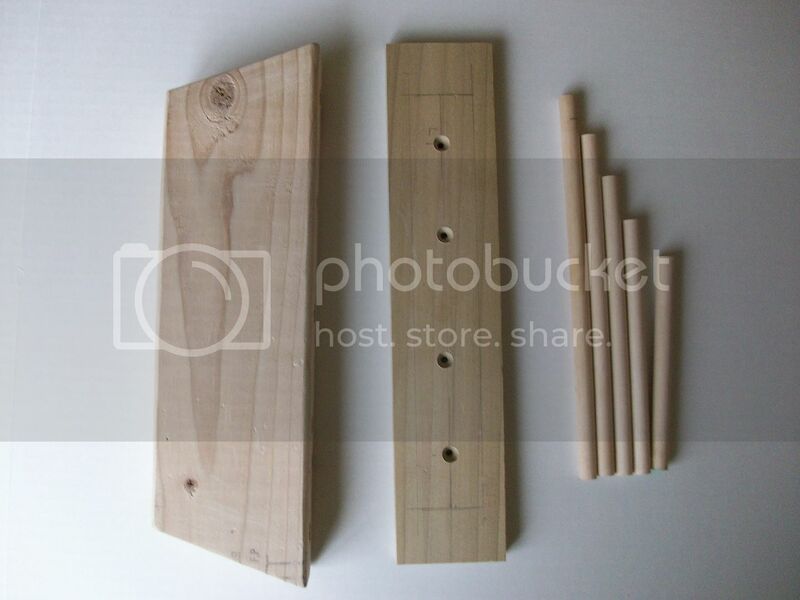 Just be sure you space your screw holes around the place where your dowels will go. You don't want one in the other! 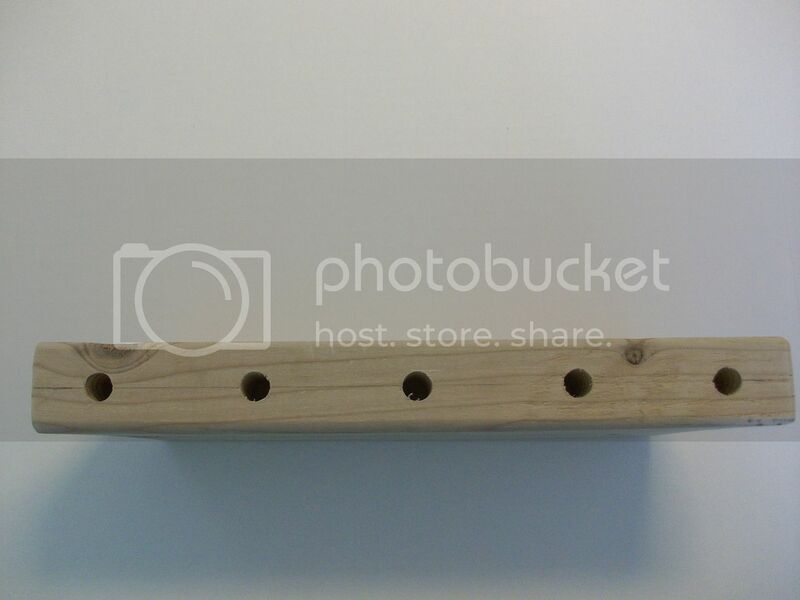 The holes for the dowel flower stems are about 1 1/2" deep to keep the stem upright once it is placed in the hole. 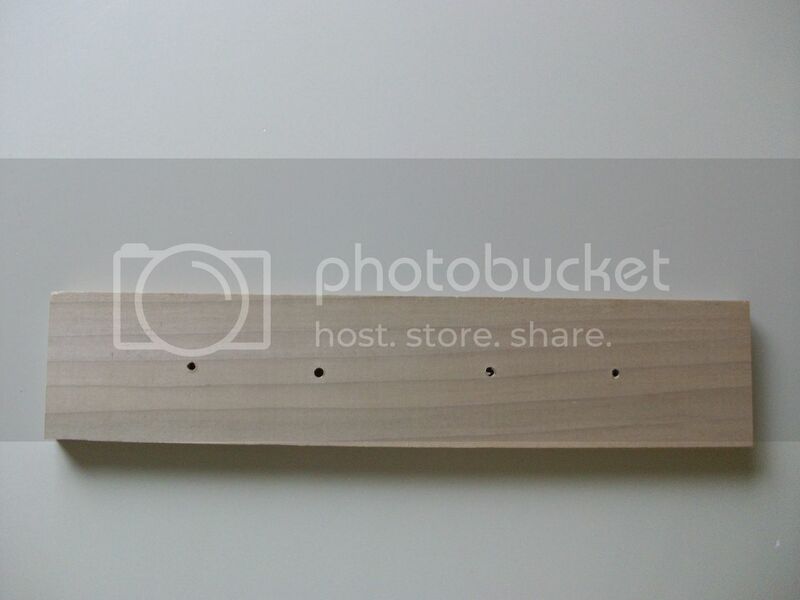 The holes are just slightly bigger than 5/8 inch (the size of the dowel) so that the dowel will go in easily. I didn't want my daughter to struggle too much to plant her flowers or she would never play with this. Next, I painted the base and all of the edges of my flower pot. I painted the pot and the base colors Avery chose and then the top of the pot is brown so it looks like dirt. I didn't paint in the "middle" of each space because I was just going to cover it up with paper. This is the bottom of the flower pot and I did paint it, too, since I didn't want any unpainted edges to show from the top side. I traced around the wood right onto my scrapbook paper to make the pretty parts of my flower part. I numbered the papers and the sides of the wood so I didn't have to worry about slight variations from one side to the other. 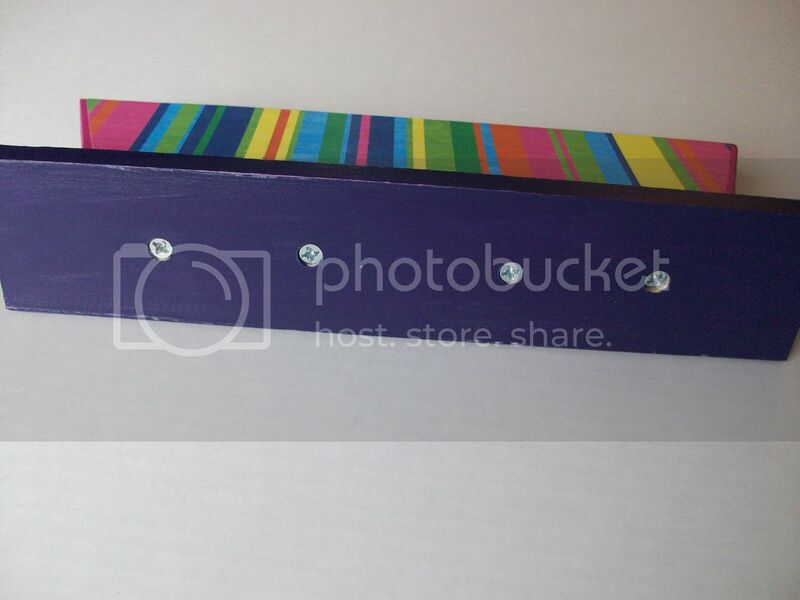 Use Mod Podge to adhere your scrapbook paper to your wood. When that is completely dry, paint at least 2 coats of Mod Podge over the whole thing (each piece separately) letting each coat dry thoroughly before the next. 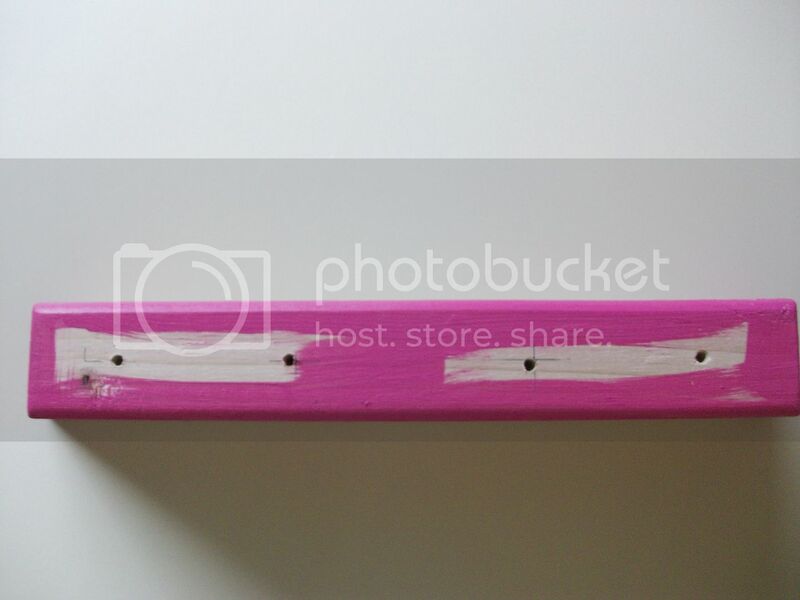 You may need to redrill your holes at this point just because paint and Mod Podge may get in there and make them a little small to fit the dowels or screws. Screw the base to the bottom of the flower pot and that part is done. 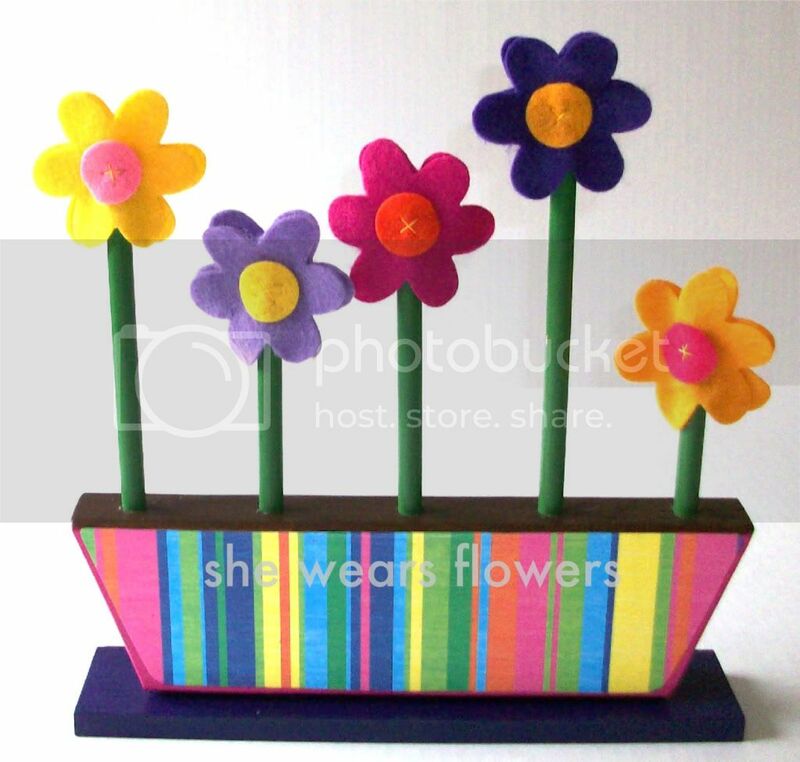 There are so many ways you can make flowers. 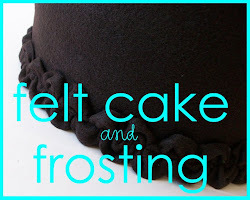 I chose to use felt (the cheap kind) because, with a high melt glue gun, it will melt to the dowel pretty well when you glue it on, thus making it less likely to get yanked off. 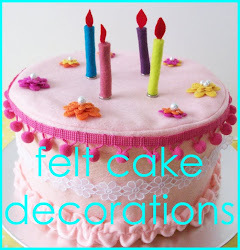 I also used felt for the centers of the flowers because I like the bright colors. I hand sewed these on to help them stay more securely than they might with glue. 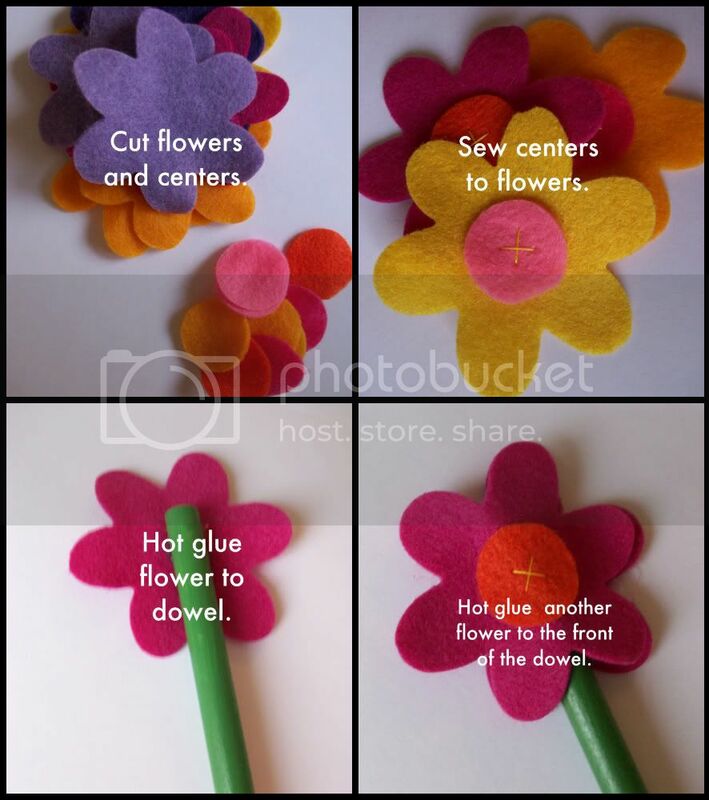 If you want to use a button in the center of your flower, be sure you sew it on securely before you glue your felt to the dowel. You could make the flowers different on each side of the flower, too. There's a lot of room for creativity here! You need 10 flowers all together. 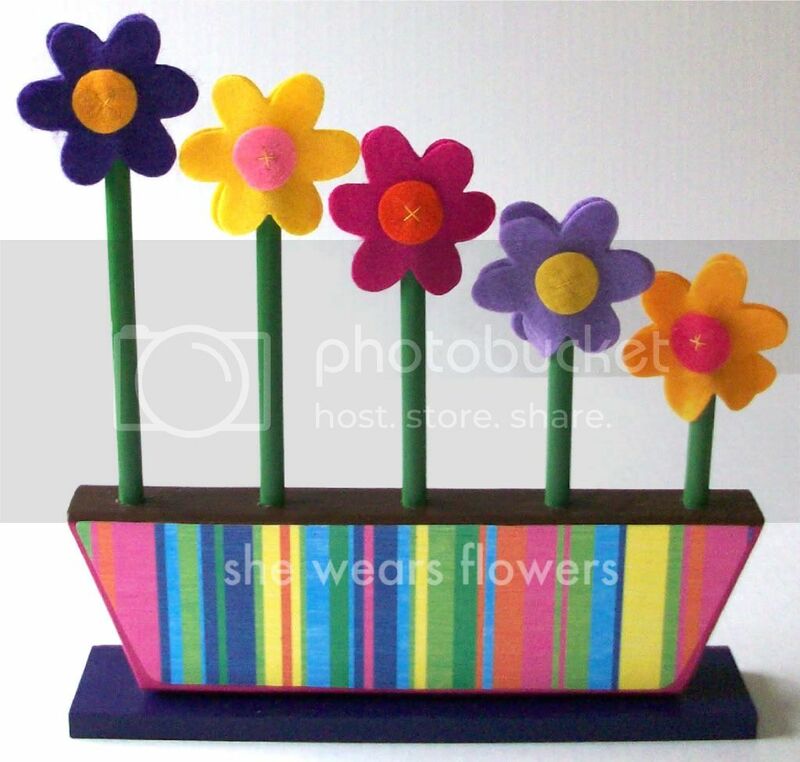 Glue your flowers to each side of the dowel. Now, go plant some pretty flowers! So cute and springy!!!! I need to make one with my little ones. 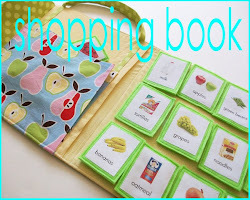 I think you mean that you are going to make this a color matching activity as well--what a great idea! Feauturing you today for Featured Flower Friday @ Singing Three Little Birds! 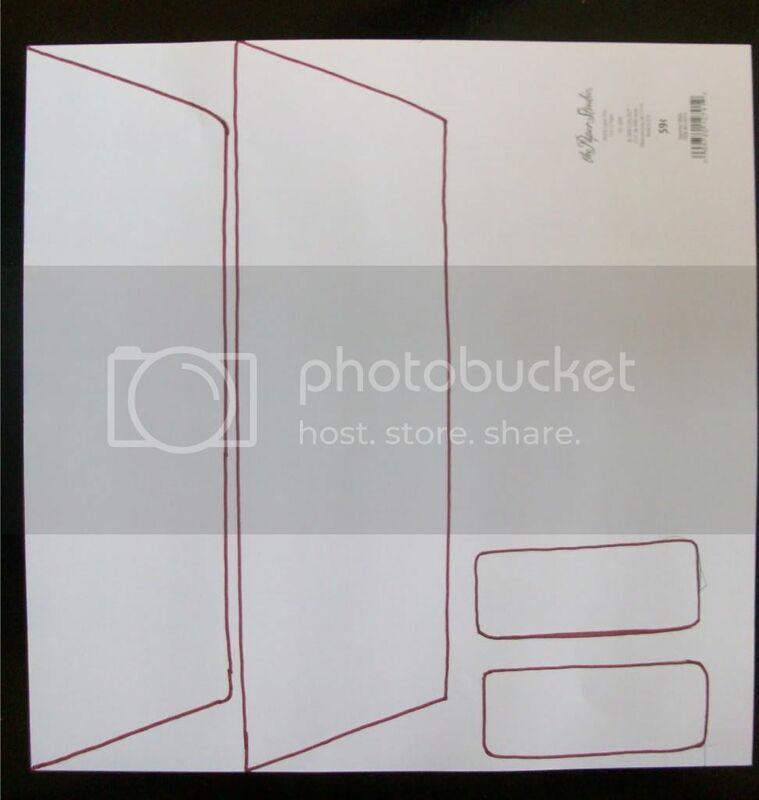 This would be cool as a teacher gift if you substitute the dowels for pens! 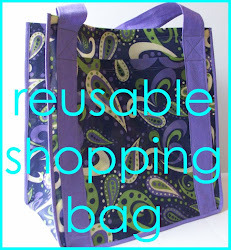 I ♥ this idea!! Hugs & Blessings!